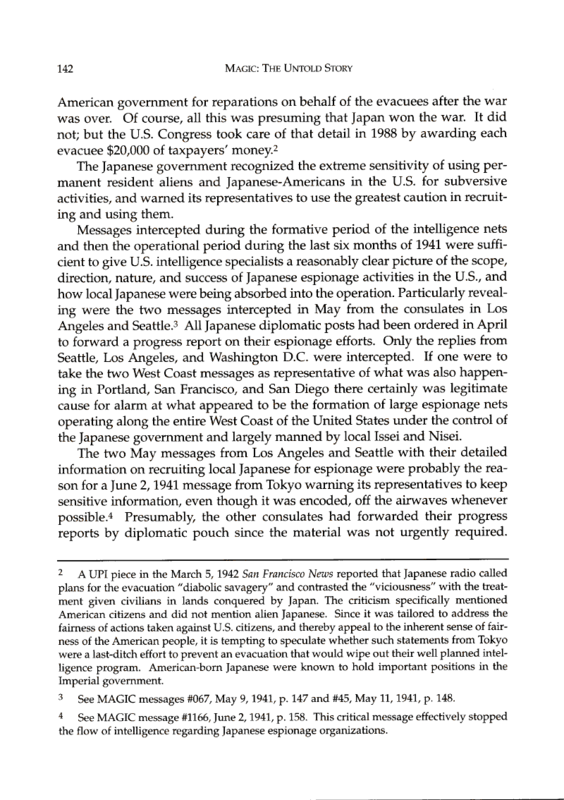 Document Notes: Includes two messages, out of a total of 8, that are status reports from Los Angeles and Seattle, both of which confirm the active participation of resident Japanese involved in espionage. These are the critical messages relating to the evacuation. Also included are plans to bribe a witness in an espionage case.